Vizio P55-F1 vs M55-F0 Comparison : What are The Similarities and Differences between Vizio’s 2018 55-Inch P-Series and M-Series? If We talk about 55-Inch 4K HDR TV, We should mention Vizio P55-F1 and Vizio M55-F0 as two options that we should consider. They are both introduced as part of Vizio’s 2018 TV lineup. 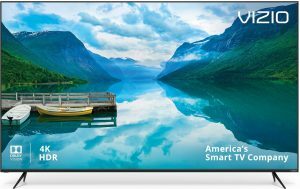 Vizio P55-F1 comes as part of Vizio’s 2018 P-Series, while Vizio M55-F0 is introduced as part of Vizio’s 2018 M-Series. Which of them is the one that you should choose? To answer that question, we need to know more about the similarities and differences between those two Vizio 55-Inch 4K UHD TV. We will talk about the similarities and differences of Vizio P55-F1 and Vizio M55-F0 in this article. As two 55-Inch 4K UHD TV introduced by Vizio in 2018, We can find that there are a number of similarities between Vizio P55-F1 and M55-F0. What are their similarities? Let’s talk about that together. Vizio P55-F1 and M55-F0 come with 4K UHD Resolution that can deliver brilliant picture quality. We can also find that they are both completed with spacial scaling engine. With spacial scaling engine, those two TVs are not only able to deliver brilliant picture quality from original 4K content sources but also from HD contents that upscaled into near 4K picture quality. We can find that Vizio P55-F1 and M55-F0 come with Full-Array LED that completed with local dimming zones. With Full-Array LED, We can enjoy superior light uniformity. While it also can deliver vibrant contrast with local dimming zones that spread out across the LED screen. Active Pixel Tuning is installed on both of Vizio P55-F1 and M55-F0. Active Pixel Tuning enables each pixels to adapt with on-screen details for a near-perfect picture. Active Pixel Tuning also helps eliminate light bleed even further. 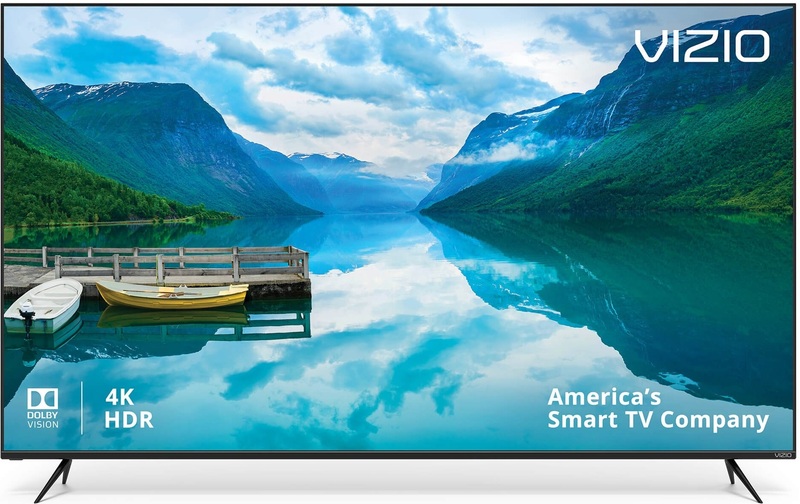 We can also find V8 Octa-Core Processor installed on both of Vizio P55-F1 and M55-F0 that can deliver optimized color, clarity and contrast for the picture delivered by those two TVs. 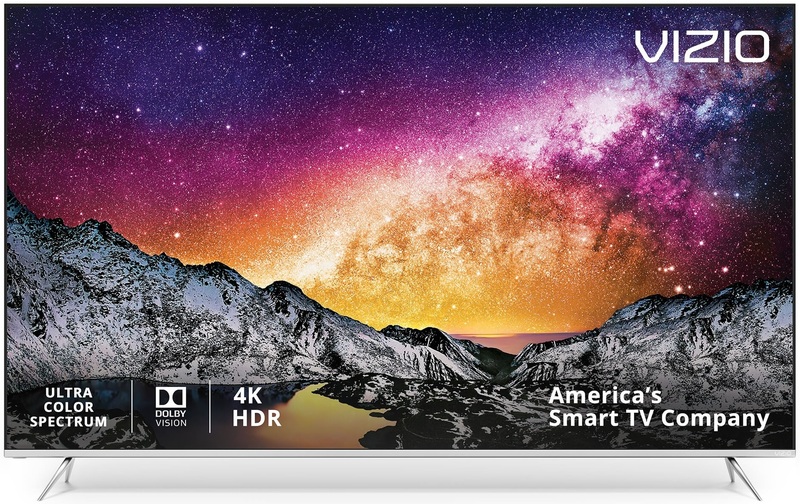 Both of Vizio P55-F1 and M55-F0 support wide range of HDR content sources. They support Dolby Vision, HDR10 and HLG content sources, so that you can enjoy enhanced details with expanded contrast from your favorite HDR content sources. The smart TV platform and Remote Control of Vizio P55-F1 and M55-F0 are similar. They come with Vizio SmartCast with ChromeCast built-in as their Smart TV platform and SmartCast Remote (XRT136) as their remote control. SmartCast allow you to enjoy wide range of entertainment, while you can also connect your smartphone with built-in Chromecast. You can also control the TV and SmartCast more conveniently with SmartCast Remote. SmartCast also can work with Google assistant and Amazon Alexa so that you can use your voice to control your TV. The similarities of those two 55-Inch 4K UHD TVs can be summarized on the table below. We can also find few differences between Vizio P55-F1 and M55-F0 as they are indeed introduced as different TV models. What are their differences? Let’s talk about that together. As We have talked before, Both of Vizio P55-F1 and Vizio M55-F0 come with Full Array LED that completed with Local Dimming Zones. But We can also find that the number of local dimming zones installed on those two TVs are different. Vizio P55-F1 comes with 56 local dimming zones, while Vizio M55-F0 comes with 32 local dimming zones. With more local dimming zones, Vizio P55-F1 is able to deliver more vibrant contrast across its LED screen. Vizio P55-F1 comes with Ultra Color Spectrum that we can’t find in Vizio M55-F0. With Ultra Color Spectrum, Vizio P55-F1 is able to bring richer and more accurate color details since It can deliver wider range of color spectrum. The dynamic contrast ratio of Vizio P55-F1 and Vizio M55-F0 are different. Vizio P55-F1 comes with 50M;1 contrast ratio, while Vizio M55-F0 comes with 20M:1 contrast ratio. With higher contrast ratio, Vizio P55-F1 is able to deliver more vibrant contrast on its screen. We can find that the refresh rate technology of Vizio P55-F1 and M55-F0 are different. Vizio P55-F1 comes with Clear Action 720 that based on 240Hz effective refresh rate, while Vizio M55-F0 comes with Clear Action 360 that based on 120Hz effective refresh rate. With Clear Action 720, Vizio P55-F1 is able to deliver smoother fast motion images especially from gaming scenes when the TV used as gaming monitor. If we use the TV to watch our favorite action movies and sports, we can find that Vizio P55-F1 is able to more fluid motion images than Vizio M55-F0 with only Clear Action 360 but the difference is not that significant. We can find that both of Vizio P55-F1 and M55-F0 come with 2Ch speaker system. But the power output of their speakers are different. Vizio P55-F1 comes with 2x10W sound output, while Vizio M55-F0 comes with 2x15W sound output. With 2x15W, Vizio M55-F0 is able to deliver more powerful sound output. You can for sure improve the sound quality of those two 55-Inch 4K UHD TV easily by attaching your favorite soundbar to bring more powerful and richer sound quality. Vizio P55-F1 as part of Vizio’s 2018 P-Series is positioned as the higher model than Vizio M55-F0 that introduced as part of Vizio’s 2018 M-Series. In term of price, It’s easily guessed that Vizio P55-F1 is also offered at the higher price than Vizio M55-F0. What about their price difference? As TV price often change from time to time, then It’s recommended that you check the price of Vizio P55-F1 and Vizio M55-F0 to find their latest price difference. After we talk about the differences of Vizio P55-F1 and Vizio M55-F0, We can create a table of differences between those two 55-Inch 4K UHD TV as follows. What’s the Reason to Choose Vizio P55-F1? From our discussion about similarities and differences of Vizio P55-F1 and M55-F0, we can find that Vizio P55-F1 is the model that positioned higher as It comes with few better specs and features than Vizio M55-F0. We can find better contrast, color and smoother refresh rate in Vizio P55-F1 since It comes with more local dimming zones, higher Dynamic contrast ratio, additional Ultra Color Spectrum and higher refresh rate. If you are looking for one of the best picture quality from Vizio in your next 55-Inch 4K UHD TV and you don’t mind to spend higher for that, then you have the reason to choose Vizio P55-F1. Vizio M55-F0 comes as the more affordable option of Vizio P55-F1. It indeed comes with less local dimming zones and dynamic contrast ratio, no Ultra Color Spectrum and lower refresh rate, but overall we can still enjoy good picture quality in Vizio M55-F0. We can also find that It also support HDR10, HLG and Dolby Vision so that you can enjoy wide range of HDR content sources on its screen. You can also get more powerful sound output with Vizio M55-F0 as a bonus. If you have more limited budget, then you have the reason to choose Vizio M55-F0 as your next 55-Inch 4K UHD TV.